Westbrook bed and breakfast travel guide for romantic, historic and adventure b&b's. 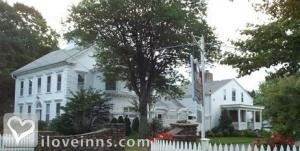 Browse through the iLoveInns.com database of Westbrook, Connecticut bed and breakfasts and country inns to find detailed listings that include room rates, special deals and area activities. You can click on the 'check rates and availability' button to contact the innkeeper. One of Connecticut's classic shoreline beauties, the town of Westbrook is found on the banks of Long Island Sound. A town that is known for its exciting mix of salty fresh air, sandy beaches, and unlimited marine activities, Westbrook is the perfect town both for a quick visit or an extended stay. Choosing to stay at Westbrook is almost a no brainer, what with its interesting sites and comfortable Westbrook bed and breakfasts that surround the area. Westbrook is the home of several attractions as well, including the Marquee Cinemas, and a few other museums that will interest both the young and the old. Because it's basically a beach community, you can do a number of water-related activities while in town. There are Westbrook ferry services and cruises that you and your entire family will love. If you like to play golf, Westbrook also has a number of golf courses within town and in its neighboring towns.